I was delighted to present on behalf of the International CCS Knowledge Centre, at the 4th Guangdong International CCUS Expert Workshop on Knowledge Sharing and Capacity Building, in Guangdong China. This event underscored how sharing knowledge and working together is such an important aspect to seeing advancement in CCUS. - capacity building and financial support. As ambassadors of sharing the learnings from the operation of SaskPower's BD3 Carbon Capture Facility (based in Saskatchewan, Canada), we also often receive many enqurires about the Carbon Capture Test Facility (CCTF), which is situated at SaskPower's Shand Power Station, a few kilometres from BD3. 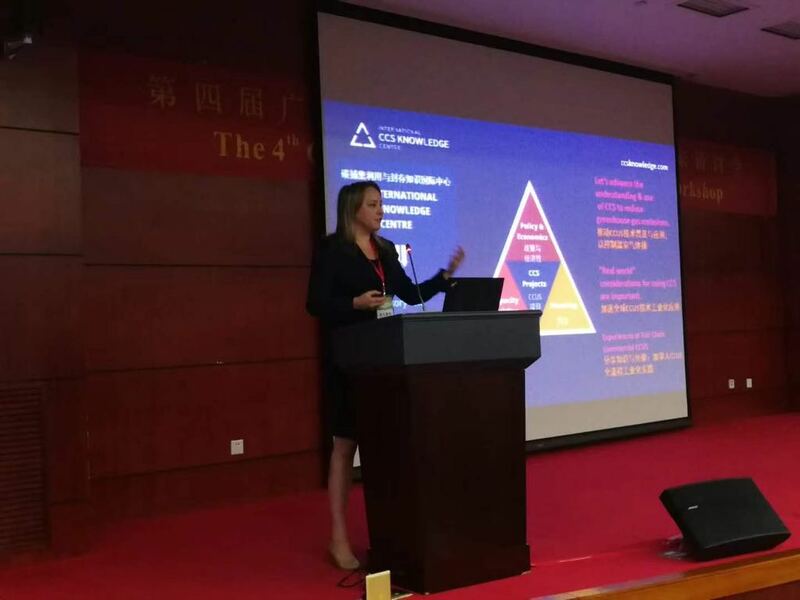 There was great interest in the CCTF at the workshop due to the cooperation of International CCS Knowledge Centre with Guangdong. While each test facility has its benefits such as the National Carbon Capture Centre (NCCC) in the USA and Test Centre Mongstad (TCM) in Norway, the Guangdong facility was established by adopting a business model concept like that of the CCTF: a test facility attached to the real flue gas of a coal-fired facility. It has built-in dual platforms, one for amine capture technology designed by Cansolv and the other for membrane capture options designed by a vendor firm based in California. One of the topics discussed at the conference was of intellectual property (IP) attached to testing and whether it should be a part of knowledge sharing. The International CCS Knowledge Centre expressed that knowledge sharing must consider IP, but there is a balance between IP protection and sharing outcomes and learnings that are necessary to advance technology development in CCUS. In March of this year, the CMC Research Institutes executed a Memorandum of Understanding (MOU) with the Guangdong CCUS Centre. With the International CCS Knowledge Centre's direct experience in large-scale CCUS and CMC's research, Canada is well represented to cooperate on moving CCUS in China, at both the test phase and large-scale implementation. 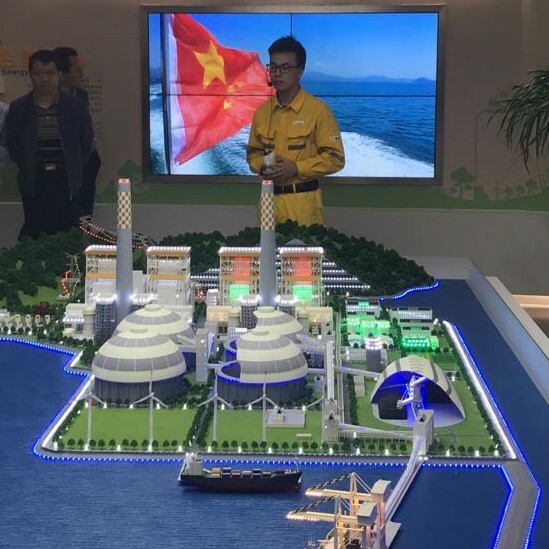 China Resources Power Group Haifeng Plant in Guangdong is in stage 1 of its Carbon Capture Test Platform. Canadian knowledge in CCUS will help in stage 2: large scale demonstration at 1MT/yr. 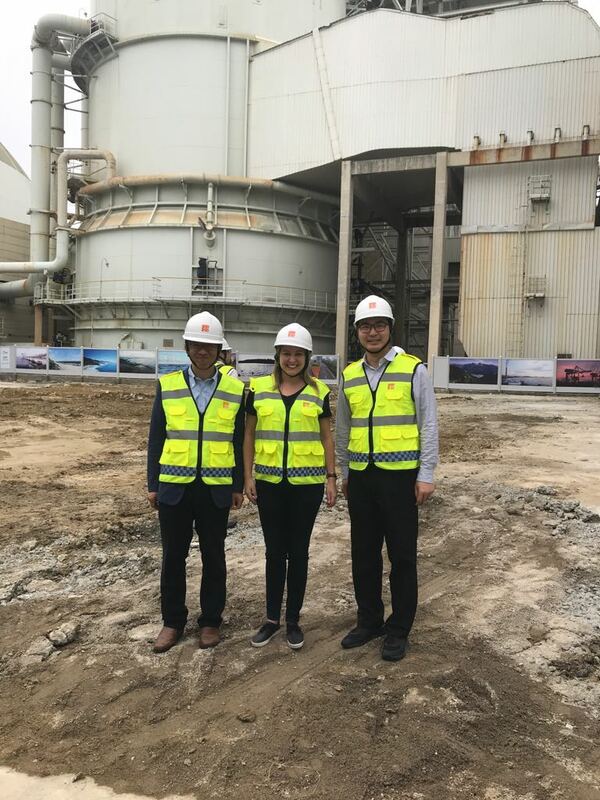 I learned a great deal during the tour of the CRP’s Shanwei Haifeng coal-fired power plant. This facility, built in 2015, is a “modern-day” coal plant. At 2000MW, it has two units in a remarkably shiny facility, with solar panels on an adjacent hillside and wind turbines along the front of the property. 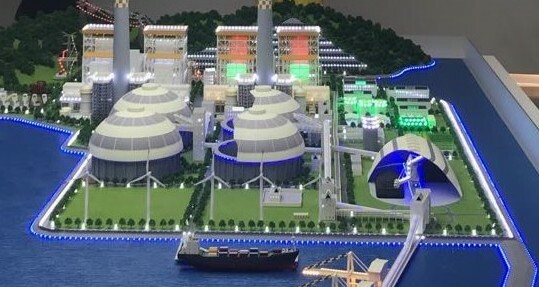 It is situated on the South China Sea; the water is used to cool the facility and to import coal by barge straight to site from Indonesia (3,800 Cal./G lignite coal with a low sulphur and low ash content). The facility has very good performance with its emissions at a lower level than the emissions standards required for natural gas plants in China (1.6g of particulates). 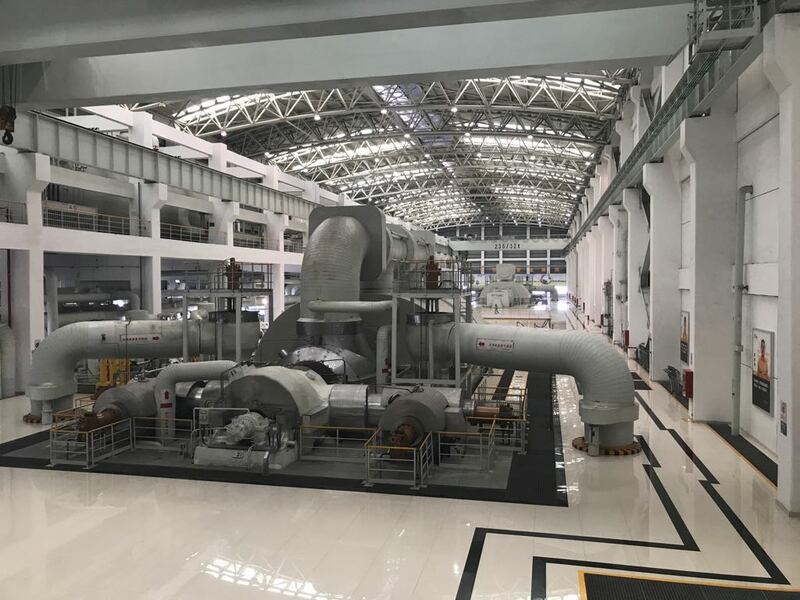 The Carbon Capture Test Platform (CCTP) is the first carbon capture demonstration project built at an ultra-supercritical coal-fired power plant in Asia. The project aims to scale-up the select technology and verify and optimize the different CO2 capture technologies. At the first phase of the project, five out of 14 technologies were shortlisted, including chemical absorption, membrane, physical absorption. At the second round of screening, the project selected two technologies: amine absorption and membrane separation. The project received a government incentive of an added 300 hours of operation because of the inclusion of the CCTP. Another 1000MW are intended to be built on this site with large scale CCS attached.